In the beautiful and exclusive resort of Mount Argentario this magnificent luxury villa, isolated and perched on a cliff with a 180 degree view of the crystal clear sea is for sale. There are very few prestigious villas in this area, since in the 80s further construction was prohibited. This wonderful property has been kept in excellent condition and is currently a real gem set in an oasis of peace, with direct and private access to the sea. The architecture is in Tuscan style, with finishes in local materials such as stone and wood. The inner surface area of the villa is 315 m2 and there is a magnificent partially covered panoramic terrace of 300 m2. Inside there is a master suite and 3bedrooms for guests, each with private bath. There are also powder rooms. Below the large terrace there are 2further apartments of 170 m2 each with a large terrace, equipped with every comfort. All the bedrooms of this luxury villa offer views of the sea. The villa is completed by about 200 m2, which can be reached via one of 2 lifts on the property. Its absolutely unique location, imposing size, amenities, and isolated and protected location make this beautiful villa for sale in Monte Argentario a truly unique and exclusive property. The Argentario, an exclusive and renowned resort town on the Tuscan coast is characterized by a mountainous terrain and a high rocky coast, is covered by dense and lush vegetation such as dwarf palms, Mediterranean brush, olives, vines, and fruit trees. Destination of elite tourism since the time of the Etruscans and Romans, Mount Argentario today boasts wonderful luxury villas and prestigious properties that are set like precious gems in exclusive locations. 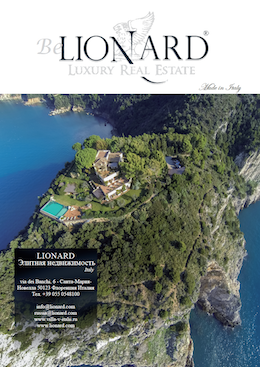 Crystal clear sea, lush vegetation, relaxation areas, and, at the same time, refined and fitting for fabulous properties, the Argentario is an increasinly popular and attractive destination for both the national and international elite. This charming luxury villa for sale is on Elba Island, in an untouched area of rare beauty near a natural reserve. Exclusive home for sale on the seafront of Viareggio, Art Nouveau luxury villa of 280m2 extremely stylish and wonderfully preserved. Seaside Luxury Villa For Sale with Infinity Pool in the popular Castiglioncello, Tuscany. Surrounded by greenery, the Property For Sale in Tuscany is a true gem.